The open back over-ear PS2000e headphones retain the world famous Grado signature sound, and takes it to a new level of refinement through a metal-clad maple build. Earn 2695 loyalty points when you order this item. 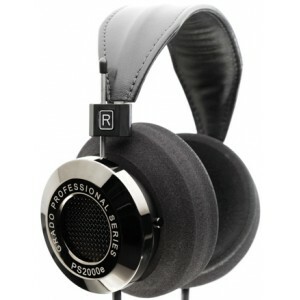 Grado's new flagship PS2000e headphone is simply the best headphone Grado has ever produced and perhaps the best in the world. 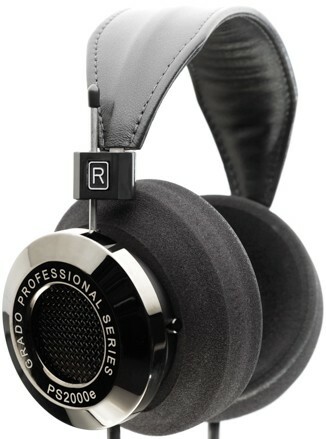 The whole Grado family have been involved in the development of PS2000e headphone, that is three generations working together for two years to produce these amazing refined headphones. These headphones are finished with Smoked Chrome for the outer, and the inner chamber is crafted from hand-carved maple which results in a sophisticated elegant aesthetic. The headband is a wide leather strap which has added padding to ensure a super comfortable listening experience. Both of these materials are exclusive to the PS2000e. It is known that Maple as a material has excellent acoustic properties, it was used first in Grado's limited edition GH1, to give a unique and correct frequency response. Plus, by covering the Maple in a metal alloy helps to eliminate ringing and other undesired distortions. Furthermore, the PS2000e use a new design for the drivers so that they minimise any signal discolourations, so you will only hear the subtle nuances of your music. To ensure that the PS2000e are the finest headphones they have ever created, Grado only used the finest quality materials. Whether it is the wires, the voice coil, the magnets, or the speaker chassis, all have been researched extensively and consequently, the materials chosen are of the highest quality. The geometry of the diaphragm has been completely redesigned to perfectly and accurately channel the signal into your music. Developing the new front cap and grill for the new driver resulted in minimised diffraction of the signal emitting from the diaphragm. The individual components of the PS2000e are mounted in an exclusive hybrid housing which not only supports the driver but also ensures distortion and resonance are eliminated, allowing just the actual signal to come through to your ears. With these headphones, you simply close your eyes and hear everything in your music like have never heard before, with the level of performance that only a dynamic driver can produce. The sound-stage of the PS2000e is wide, which reveals the spatial characteristics of the individual instruments within a composition.